vk3/ve-140, Mt Samaria, vk3/ve-157, 29th June 2014. These two summits make a great two in one day pair. Given the weather conditions on the day I chose to drive between the two, but there is the option to treat the two as a circuit walk. 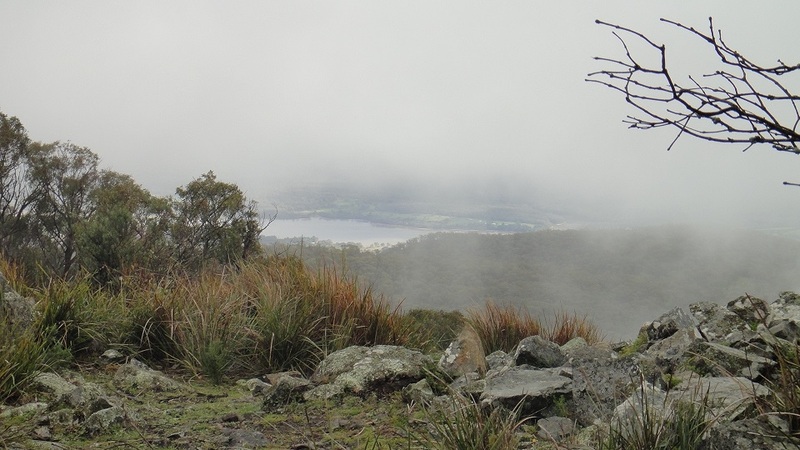 The weather was forecast to be wet, with snow showers down to 800m, I was lucky and had no snow but it was wet, misty, windy and rained. 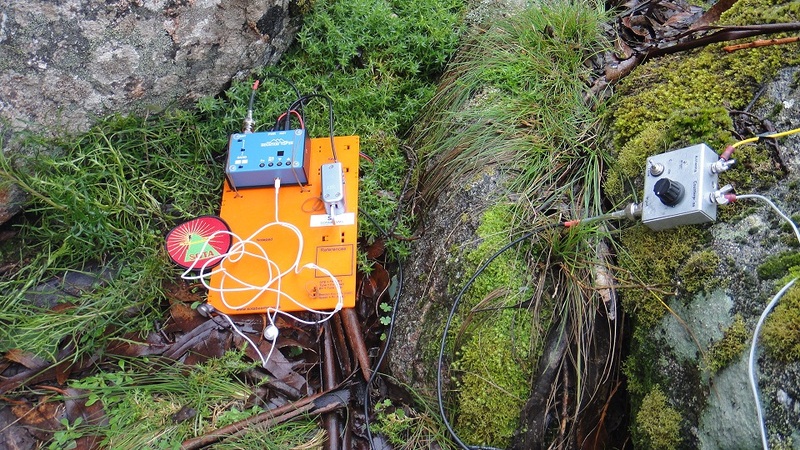 I used the MTR (1st edition) for this trip and a newer EFHW using a lighter wire. I had tested the antenna at home, but I was unable to get a match on 20mx at either summit so looks like a bit more testing is need. In the photo you will see I used the Mini-B from AME, it has a mount hole in its base I purchased a matching thumb screw from Small Bearings and Parts in VK4 and using the hole intended for the pencil string I attached the key. The single mounting point allowed it to move a little, but no real problem. 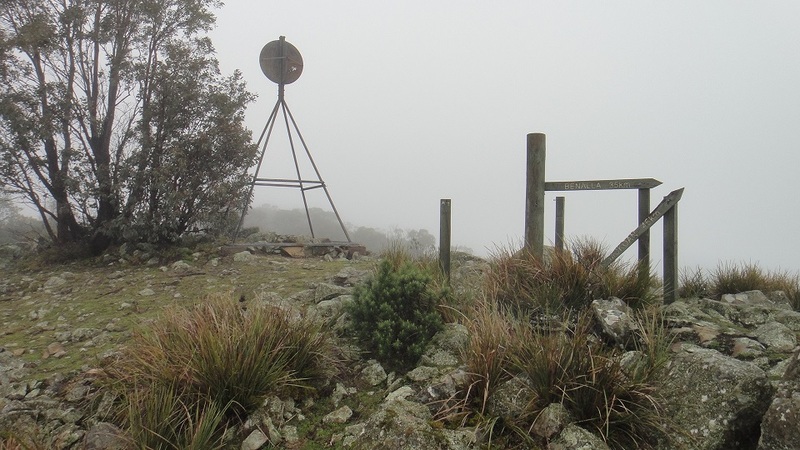 I followed the notes provided by vk3fmdv on the SOTA summits information page. The current Park Note can be found on the Parks Vic Web site. The map below is part of the map provided in the Park Note, I parked at the Spring Creek Sawmill site for the ve-140. For Mt Samaria I parked on the edge of the road at the locked gate. There is not much room here and you need to be prepared to walk if you cannot park at the gate. 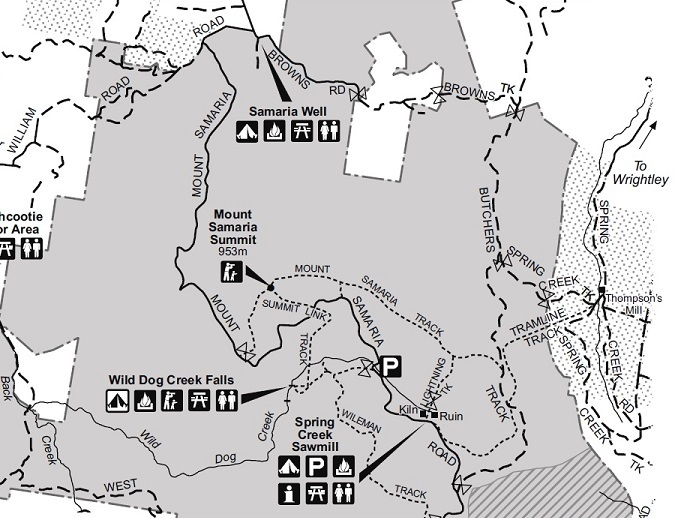 Having now visited both summits I would be tempted to park at the Parking area provided at the Wild Dog Creek trail head and walk the two summits as a loop. It’s a nice bit of country and the Lyrebirds did not stop the whole time I was out.